With more than 50 million people of Latino descent currently living in the United States, Latino Americans have become the nation's largest minority group. Hispanic Heritage Month (Sept. 15 to Oct. 15) celebrates the histories, cultures and accomplishments of Latinos, who have helped shape the United States over the last five centuries. 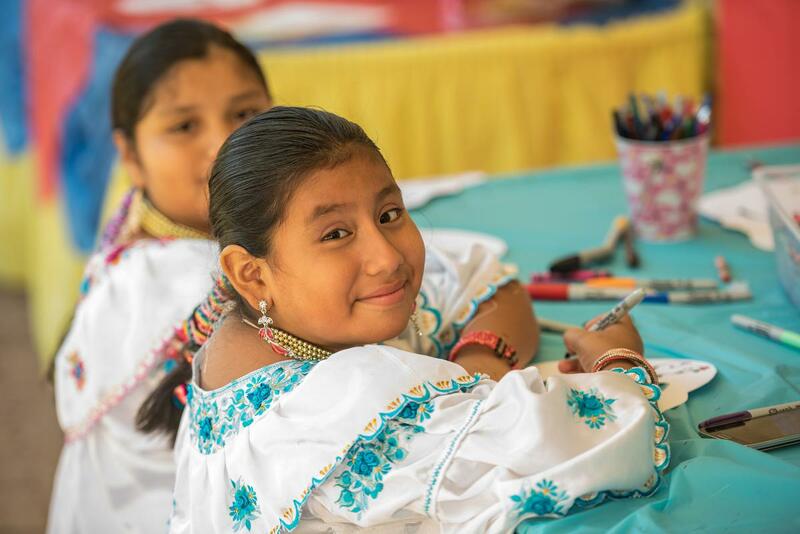 Programming Librarian has compiled the following round-up of resources to help libraries deliver their best programming in celebration of Hispanic Heritage Month. Do you have other go-to resources that are not listed below? Please share them in the comments or email us at programminglibrarian@ala.org. Humanities Texas Traveling Exhibitions: The Humanities Texas exhibitions program circulates traveling exhibitions on a variety of topics including In His Own Words: The Life and Work of César Chávez, Vaquero: Genesis of the Texas Cowboy, and Voces Americanas: Latino Literature in the United States. Information including rental prices are included for each exhibit. Latino Americans: 500 Years of History Final Report: Latino Americans: 500 Years of History, produced by the National Endowment for the Humanities (NEH) and ALA, was a nationwide public programming initiative that supported the exploration of the rich and varied history and experiences of Latinos. More than 200 grantees around the country — libraries, museums, state humanities councils and other nonprofits selected through a competitive application process — received funding, resources and support to host festivals, collect oral histories, facilitate discussions and hold other public events. Be inspired by their accomplishments in the project's final report. The Latino Intersections Resource Center: The Latino Intersections Resource Center, a part of the Latino Journal Intersections website, is affiliated with the Department of Spanish and Portuguese, and the Latin American, Latino & Caribbean Studies Program at Dartmouth College, Hanover, New Hampshire. It receives funding and support from the Dartmouth College Library System. The Resource Center's mission is to create a gateway to resources that facilitate access to Internet-based information to, from, or about the Latino community in the United States. National Park Service's American Latino Heritage Projects: The National Park Service American Latino Heritage projects explore how the legacy of American Latinos can be recognized, preserved, and interpreted for future generations. This website highlights projects undertaken by National Park Service parks and programs as part of the Service's commitment to telling the American Latino story. Projects vary from increased interpretation, collaboration with community organizations, and the production of scholarly documentation. A Celebration of Latino Lives in Florida: Also offered as part of Barry University's programming about Latino American history and culture, A Celebration of Latino Lives in Florida was a storytelling and -recording event with storyteller Caren Neile. After a presentation on storytelling in Latino culture, event attendees volunteered to share personal stories with the audience. The audience then voted on their favorite stories; the winning story told how a participant and her parents and brother celebrated their first Thanksgiving after immigrating from Peru. The stories were later aired on the local public radio station and archived in the WLRN Public Storyteller website. Journeys of My Life / Viajes de Mi Vida: Loudoun County (Va.) Public Library forged an outside-the-box partnership with its local school district's One to the World initiative, inviting students to address a problem, create and product and connect with the world. Seventy high school students worked with award-winning Latino artist John Parra for two days to produce original stories and illustrations to be made into bilingual picture books. Topics included the students' personal journeys, Latino role models and historical events that support Latino history and culture. The books were presented by the students to the Honorable Francisco Altschul, ambassador of El Salvador to the United States, who would later deliver them to the Biblioteca Luz Children's Library in El Salvador. The student authors and illustrators also read their books at public story times. Little Havana Walking Tour: Barry University's Monsignor William Barry Memorial Library in Miami Shores, Fla., offered a three-hour tour of the world-renowned Little Havana neighborhood. Participants were treated to an amazing wealth of knowledge about Little Havana's significance to Miami's Ciban community and its many historical, political and cultural connections. 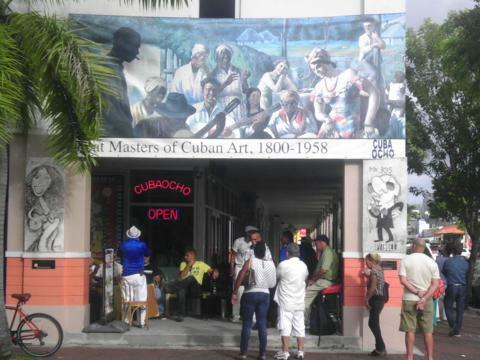 Perks included freshly brewed Cuban coffee, freshly squeezed guarapo (sugar cane juice) and a book signing with tour guide Corinna Moebius, co-author of "A History of Little Havana." 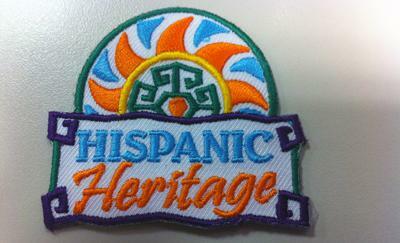 Olathe Hispanic Heritage Month Scout Patches: In a creative partnership with the local Girl and Boy Scounts, Olathe (Kan.) Public Library offered a special patch that scouts could earn by attending various Hispanic Heritage Month activities. Scouts could choose from several activities: attending a chat with "Enrique's Journey" author Sonia Nazario; taking part in a story walk with a book reading in English and Spanish; making a memory box for personal treasures and mementos; and more. The partnership between the scout organizers and the library was "mutually beneficial," said Adult Services Librarian Ralph Tomlinson. The Skin You Live In: Since 2010, Skokie (Ill.) Public Library has partnered with a number of local organizations and libraries on an initiative called Coming Together, an annual project that focuses on a different culture or major ethnic group in our community each year. The 2016 program, ¡Viva!, focused on Hispanic and Latino cultures. The library created this fun program — based on the book "the Skin You Live In" by Michael Tyler — to help young kids explore identity.